Crystal Palace will view the visit of Huddersfield as an ideal opportunity to pick up three precious points having lost two of their last three fixtures in the Premier League. Huddersfield have long been doomed and can be relegated this weekend should they lose at Selhurst Park and other results go against them. We cannot see past a home win at 1/2 as our opening Crystal Palace vs Huddersfield prediction. Palace are five points clear of the relegation zone but have lost their last two home games to Manchester United and Brighton while they also bowed out of the FA Cup quarter-finals to Watford prior to the international break. The cup tie had been heading for extra time when, only three minutes after his introduction, Andre Gray secured Watford’s route to Wembley – and their third win of the season via the same scoreline against the Eagles. Defeat, after Etienne Capoue gave the hosts the lead and Michy Batshuayi levelled, represented Palace’s third from four, and they will now be seeking a much-needed win over the Terriers. Palace, already weakened by the absence of the influential Mamadou Sakho, were further undermined when fellow central defender Scott Dann joined the injured Wilfried Zaha in withdrawing, this time through illness. Asked about Zaha’s expected recovery time, manager Roy Hodgson said: “You never know with hamstring injuries and strains in the hamstring. You have to be very, very careful especially with players as explosive as Wilf. Getting those players back on the pitch will be crucial to the Eagles but we feel they will have enough to see off Town without them and looking at the Crystal Palace vs Huddersfield odds, let’s add a home win to nil at 6/5 to our selections. 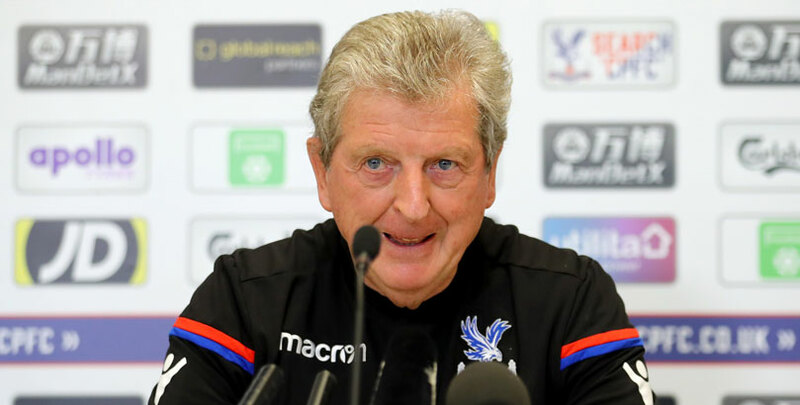 Last Palace line-up: Guaita, Tomkins, Schlupp, Wan-Bissaka, Kelly, Milivojevic, Meyer, Kouyate, Townsend, McArthur, Batshuayi. Palace will check on Wilfried Zaha and Aaron Wan-Bissaka, who have both been receiving treatment on hamstring injuries. Bakary Sako is also available, so Mamadou Sakho is the only definite absentee. Huddersfield were denied only a fourth win of the season as they threw away a 3-1 lead with 15 minutes left to lose 4-3 to West Ham at the London Stadium. After Mark Noble’s penalty put the Hammers ahead, the Terriers took control through a Juninho Bacuna header and a double from Karlan Grant. But Angelo Ogbonna pulled one back and substitute Javier Hernandez scored twice to shove heartbroken Huddersfield another step closer to the Championship. Crestfallen manager Jan Siewert said: “I can’t describe my feelings right now. Look at my face. Town have lost 11 of their 15 away games, being blanked on seven occasions, so we will complete our Crystal Palace vs Huddersfield betting tips by going for a 2-0 home victory at 23/4 in the correct score market. Last Huddersfield line-up: Lossl, Smith, Stankovic, Kongolo, Durm, Bacuna, Mooy, Rowe, Pritchard, Lowe, Grant. Huddersfield pair Christopher Schindler and Jonathan Hogg are both back in contention, while Danny Williams (knee) could make his first appearance since December. However, Laurent Depoitre (foot), Isaac Mbenza (calf), Adama Diakhaby (hamstring) and Demeaco Duhaney (hip) remain unavailable, while Jason Puncheon can’t face his parent club.